Indoor/Outdoor Heavy Duty FM Dipole antenna for long-range receive. Stainless steel elements and a sealed coax cable connection to withstand years in the elements. 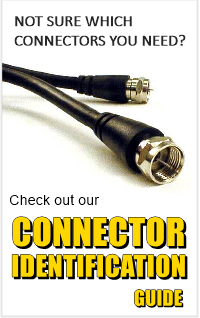 Uses an F-type connection for an easy and inexpensive installation. 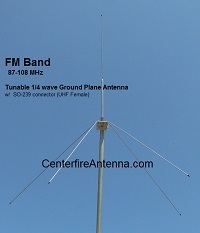 This is one of our most popular antennas! Tunable 1/4 Wave Ground Plane antenna. 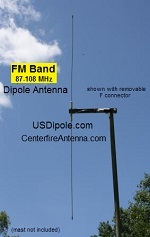 The vertical element on this antenna can be tuned for the best performance on any frequency between 87 and 108 MHz. 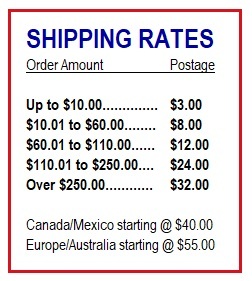 Perfect for LPFM stations! Has an SO-239 coax connection (also known as a UHF-female). Non-tunable 1/4 Wave Ground Plane. 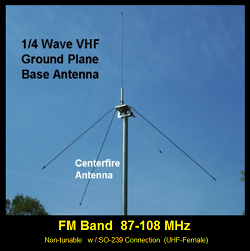 This antenna can be used as a receive-only outdoor base antenna or it can be trimmed to the specific frequency of your choice for LPFM broadcasting. Uses an SO-239 coax connection (also known as a UHF-female).